Otis Dooda : Strange But True by Ellen Potter and illustrated by David Heatley is exciting to me for so many reasons. This will be the fifth book I have reviewed by Ellen Potter in six years. Click here for all the reviews. Also, if you look at these reviews, you'll realize that Otis Dooda : Strange But True is a pretty big change for Potter in terms of her usual subject matter. 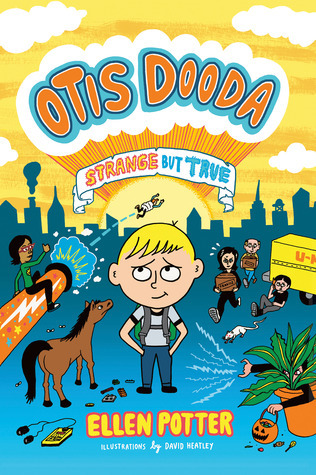 And, probably most thrilling for me is the fact that Otis Dooda : Strange But True is a book that my almost-nine-year-old son disengaged from computer games in order to read, despite the fact that his father and I had read it out loud to him earlier. That is always a HUGE plus for me! Finally, I was lucky enough participate in a blog tour for Otis Dooda : Strange But True and I got to GIVE AWAY A SIGNED COPY of Otis Dooda : Strange But True as well as interviewing Ellen, David and, yes - Otis himself! Please scroll to the bottom to see the picture or Rowan, winner of the signed book, and her Lego creation! But first, a little bit about the book itself, which is going to be brief since the interview with Ellen, Otis and David is very informative.. As much as I am not fond of Diary of a Wimpy Kid, I really do like the changes this series has brought about in the genre of books for boys (and girls - I know how many girls read these...) As a huge fan of the art of illustration and graphic novels, I especially like the fact that Diary of a Wimpy Kid has made illustrations in middle grade novels perfectly acceptable and, in many cases, desirable. So, yes, Otis Dooda : Strange But True is fantastically, fully illustrated. But, rather than an angsty diary written by a largely unlikable kid, Otis Dooda : Strange But True is glowing with Ellen Potter's amazing imagination and, as the parent of a boy in her target audience who did lots of field research (see the interview to follow) when writing this book, she KNOWS how to harness her creativity and write a book kids will love. Let's just start with Legos. Otis Dooda (as narrator, he has beats readers to the punch by going through all the jokes about his name) loves his Legos. And, he knows how to get his mom to buy him MORE Legos (you have to read the book to find out his secret...) so he can build things like a lie detector, which he tested by hooking his mom up and asking if Otis's older brother Gunther (owner of pet rat Smoochie) is her favorite son. The Dooda's are moving from the small town of Hog's Head to a high rise apartment in New York City because Otis's dad is starting a new job. 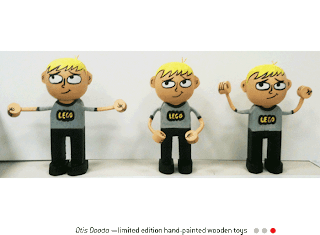 This brings a never ending string of new people and experiences for Otis to enjoy - or cope with, as well as descriptions of the various Lego Minifigures that Otis has crafted. Otis meets Perry Hooper as he is walking his French Gerbil Hound, Peaches, down the hallway. Peaches is really a miniature horse with heinous gas, but horses aren't allowed in the building. Perry's dad runs a birthday party business out of his repurposed school bus called The Big Green Party Machine. Sometimes the kids volunteer to help Mr. Hooper test out new party games like being shot out of a cannon into a baby pool filled with marshmallow fluff. Because the Potted Plant Guy (a mysterious figure who hides in a potted plant in the lobby collecting candy in a Halloween bucket as payment for not putting curses on the residents of the building) has put a curse on Otis, predicting that he will break all his bones before the next full moon, being shot into a tub of fluff requires serious contemplation. By the end of the book, cinnamon bun air fresheners have been applied to to a sensitive area of Peaches to prevent odors, Smoochie has taken a dive off the top-floor Dooda balcony while pigging out inside of a Family Size bag of Fritos and Otis finds himself protecting the Potted Plant Guy from having his identity revealed despite his curse and invented a Lego machine that catapults soy wieners at intruders. And there is going to be a second Otis Dooda book! There is also a spectacular book trailer for Otis Dooda : Strange But True as well as a really cool website that has great links to animated Lego videos and really cool activities as well as a soundtrack for the book written, performed and recorded by David Heatley that you can sample and buy! So, watch the book trailer then read on to learn more great stuff about this fantastic book. In a very cool turn of events, my almost-nine-year-old son Griffin had some pressing questions that he wanted to ask of Otis Dooda and happily, Otis was available to take questions! Thus, our interview will actually begin with Griffin asking Otis a few questions, then I get to ask Ellen and David some questions. So, read away!! Griffin: Where did Mr. Hooper buy the Big Green Party Bus? Otis: It used to be a school bus but then it got too old and junky. So this farmer bought it and he used it as a barn for his pigs. And when it got too old and gross for the pigs, Mr. Hooper bought it, painted it green, and it became the Big Green Party Machine. By the way, it still smells like pigs. Griffin: Do you know who the Potted Plant Guy is? though . . . even if it kills me. Griffin: Where did you find Smoochie? At a pet store or in a Dumpster? Otis: At first, my brother Gunther wanted to buy a hermit crab as a pet. But my mom said she wasn’t going to spend good money on a blobby lump of mucus just because its shell had Spiderman’s face painted on it. “Besides,” she said, “wouldn’t you rather have something furry and playful?’ I think she meant a hamster. But Gunther spotted this rat sitting in the corner of the cage in the pet store, looking all mopey and lazy. I don’t even think the other rats wanted to have anything to do with him. That’s pretty bad when rats reject you! Since Gunther is lazy and mopey too, it was love at first sight. Griffin: What books do you like to read? Otis: I read a whole lot of Lego instructions, but that probably doesn’t count. I also like Origami Yoda and the Tashi series. Plus last month I read this graphic novel called Lost Trail about a kid who was lost on a mountain in Maine for nine days. It’s a true story. All he had to eat the whole time was a handful of strawberries. If I was that hungry, I might have eaten worms. Well, to be honest I have eaten worms and I wasn’t even very hungry. They were pretty disgusting, if you want to know the truth. But they still taste better than soy hot dogs. Griffin: I love Tashi too! I have 16 of them. 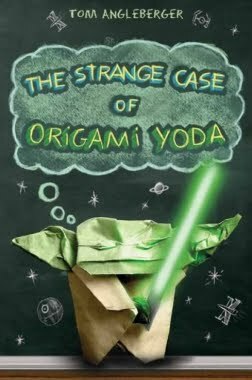 I haven't read Origami Yoda yet. Lost Trail sounds pretty great. Thanks, Otis! Griffin and I have spent quite a bit of time on at otisdooda.com where I learned that there is a story behind how you came to write OTIS DOODA : STRANGE BUT TRUE. Can you tell us what prompted you to switch from writing middle grade novels to a book for younger readers, especially one geared for boys? Since my son was little I’ve been amassing a huge collection of children’s books. I have all the great ones—The Borrowers, The Indian in the Cupboard, Stuart Little—and I was anxiously awaiting the day when I would see him curled up on a couch with one of these treasures. But, like so many things in parenting, my child had different ideas. At age six and seven, there were just a few books that appealed to him, and they weren’t the ones that I had chosen. They were subversive and funny and sometimes downright disgusting. He and his buddies were gobbling up these books so fast that the school librarian couldn’t keep them on the shelves. So I started reading them, and you know what? They were actually pretty hysterical. That’s when I began to wonder if I could write something just for these 7 to 9 year old boys (although I suspect girls will like Otis Dooda too). Yes, it’s a very different style of writing than, say, what I had done in The Humming Room, but there are also a lot of similarities—the storyline has to hold together well, the characters must be fully alive, and the pacing needs to be on target. I wanted Otis Dooda to be as carefully crafted as my middle-grade novels, yet it also had to make kids laugh. A lot. The research part was a cinch, of course. I also had a standing lunch date with my son at his school cafeteria, where I was surrounded by 7-year-old-boy madness. The combination of boys and cafeteria food created more writing material than I could use in a lifetime. 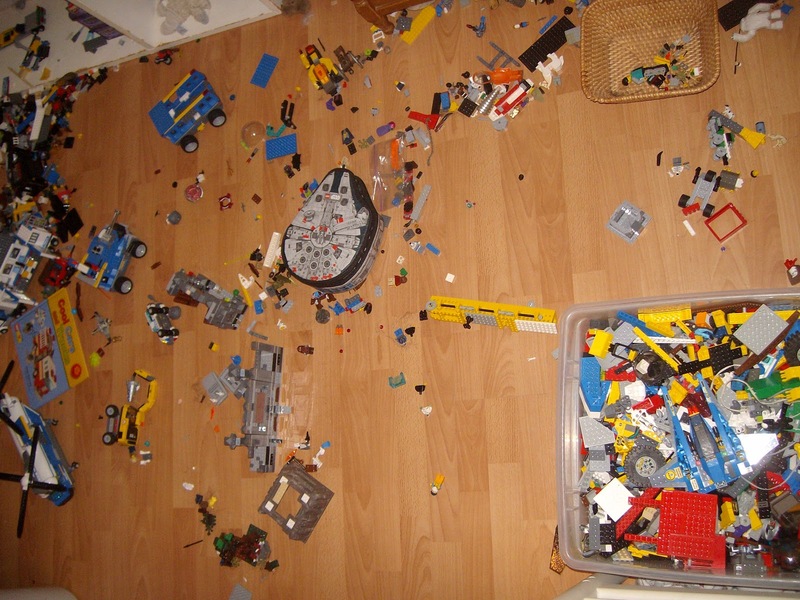 My husband has all his Legos from when he was a kid (back when they only came in a handful of colors) and, raising three kids - especially since we live about 30 miles from Legoland - you can imagine the space Legos take up in our house. Having been a kid's bookseller for so long, I wondered for YEARS why building with Legos was never a pertinent character detail in kid's books. Is that why Legos play such a big role in Otis Dooda? Yes. When I started reading the books that my son and his friends were reading I realized that some of the storylines were really more for middle-grade kids. They dealt with issues like dating and popularity. Most of the 7-year-old boys I know still put pillows over their heads when people kiss on TV. They just aren’t there yet. So when I started to write Otis Dooda, I thought about the things that 7- and 8 year-old-boys are obsessed with. The answer was right in front of me--literally. 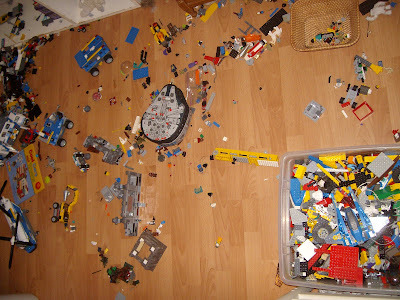 My house is strewn with Legos. They crunch underfoot, the wind up in sneakers, and let me just say that sometimes sitting on the couch can be a very painful experience. No doubt, Legos had to be front and center in Otis Dooda’s life. That is fantastic - and I agree with you about the content of some of the popular books for boys right now. How did you come up with the Lego creations in the book? The Psycho Weiner Blaster was a joint venture. I knew I needed a Lego invention that would catapult soy wieners through the air, but I didn’t know how to do it. I went out and bought a package of hot dogs, then explained to my son what I needed. He disappeared into his room and hour later he emerged with the Psycho Weiner Blaster. We tried it out (our dogs were thrilled about this new game of flinging weiners) and it worked! By the way, if people want to make their own Psycho Weiner Blaster, my son gives a tutorial about it on the Otis Dooda website under the ACTIVITIES header. Speaking of Legos, David Heatley, the illustrator of OTIS DOODA, made an AMAZING book trailer. David, can you talk about making the video and where all those Legos came from? Also, is that an OTIS toy in the book trailer? 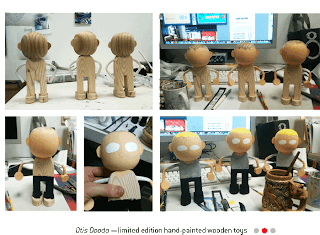 I have a background in woodworking and have made little wooden toys for my wife and kids as presents over the years. 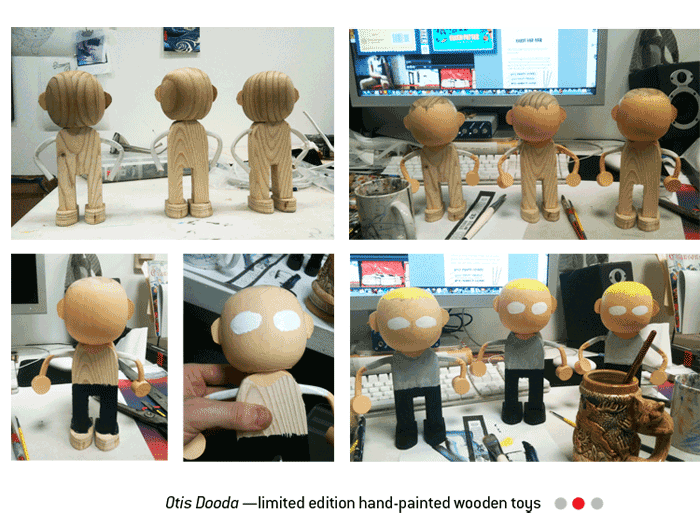 So when I was finished illustrating the book, I had a burst of inspiration to make 3 Otis toys: one for me and my kids, one for Ellen and one for some sort of contest (TBD). They're not for sale at this point. 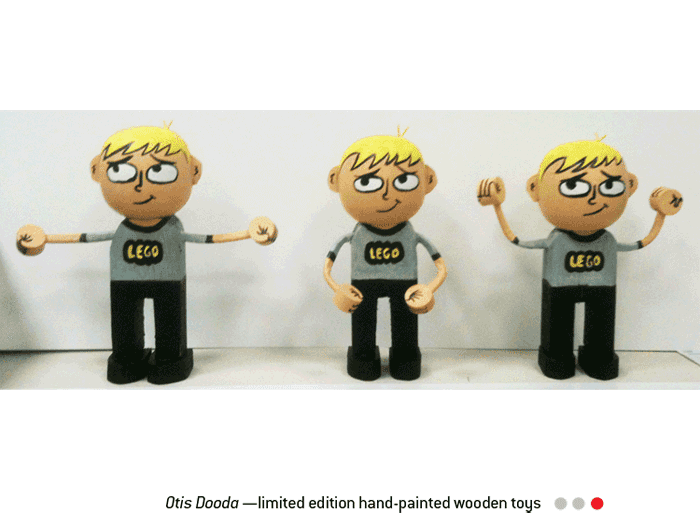 When Ellen got hers in the mail, she said it reminder her of a stop motion animation puppet. Once there was talk of making an animated book trailer, it made perfect sense to use the toy Otis in the video. The book trailer was a joint effort between myself and my brilliant filmmaker friend Morgan K. Nichols. We've collaborated together on and off for over 15 years, so we understand each others' aesthetic sensibilities and have a shorthand for communicating what we want to happen when we work together. I knew if Morgan and I just got together with the Otis doll I made and his giant pile of Legos, we'd come up with something cool. He has a 12 gallon container filled to the brim with Legos he's bought for himself over his lifetime—and he doesn't even have kids! We shot all the stop motion stuff in a day with my kids Maya and Sam helping out. The art mostly came out of the book with some extra drawings in between to make some of the motion more fluid. 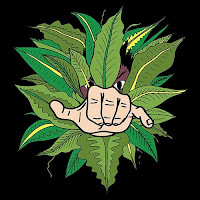 We're talking about doing a video for Potted Plant Guy... stay tuned! Amazing! That is such a cool story and the video - and music - are so cool and watchable over and over. David, I know that you are a cartoonist and musician. Is OTIS DOODA your first foray into illustrating kid's books? Can you talk about what it was like to illustrate OTIS DOODA? I know that in most cases, the author and illustrator usually don't have much interaction. Did you and Ellen collaborate? Yes, Otis is my first book for children. I've done some illustrations for a couple of kids' publications in the past, but never a whole book. Right now I feel like it's what I was born to do. All my heroes as a kid were children's book illustrators and musicians and people like Jim Henson. He's still a huge inspiration to this day. My feeling as a kid when I would watch The Muppet Show or Sesame Street or read a book by Dr. Seuss or Richard Scarry was just incredible gratitude. I couldn't believe that there were grownups out there that would spend all their time and effort creating these wonderful, enchanting things just to make a little person like me happy. I try to remember that feeling and now delight in pouring energy and care into what I'm making for kids so they feel loved like I did. I grew up with Richard Scarry and Jim Henson as a vital part of my childhood too (and so have my kids) and I don't think I have ever heard an appreciation as heartfelt and spot on as yours for these two great artists! What an incredible source of inspiration, too. The timing on Otis was perfect. I've wanted to do more work for kids for years, but things didn't seem to be lining up. I got an email from Rich Deas at Feiwel last spring asking if I'd like to illustrate the book. It was just a job that I agreed to at first, but once I got into the manuscript and started reading it to my kids, I was dumbstruck and couldn't believe my luck. Ellen's talent is 1 in a million as far as I'm concerned. And we couldn't be a better fit as a creative team. My kids and I were laughing out loud together at Ellen's hilarious dialogue and preposterous, quasi-magical plot lines. The process, all told, was easily one of the best jobs I've ever gotten to do. My kids wanted to see every step of the process—from rough thumbnail sketches to finished art. When the book finally arrived in the mail all these months later, they were jumping up and down. They couldn't believe it was real! I can't think of a better feeling than that—having my children take part in and revere what I get to do for my job. Incredible! I love how involved your kids were in the whole process, too! Griffin, my husband and I were lucky enough to read OTIS in draft form the three of us would be sitting in our bed cracking up nightly. As far as collaborating—as soon as I signed on to illustrate Otis, I dropped Ellen a line. I told her that I knew it must be a vulnerable position she was in—to have written this whole story and to have to trust someone else to bring the visuals to life. I assured her that I was going to give it my best and would share art with her as I completed it. That started a correspondence that turned into a friendship. 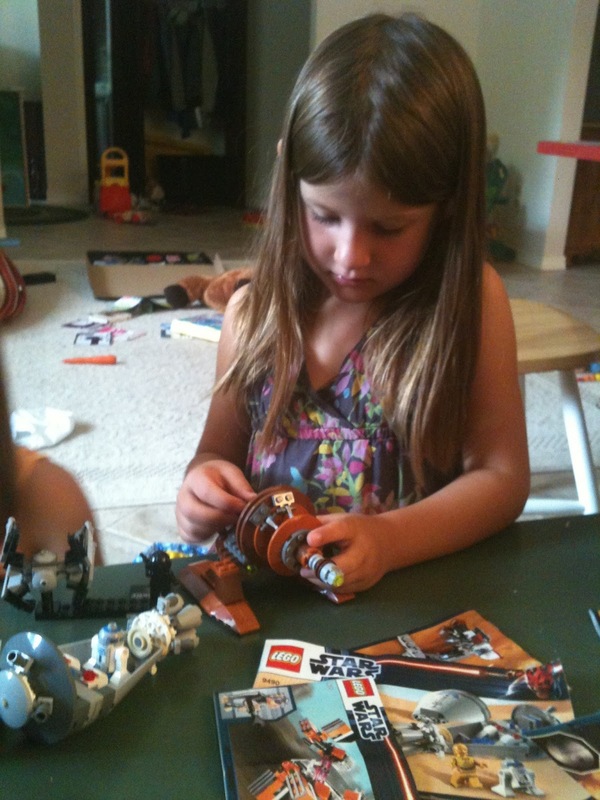 Her son Ian and my son Sam have recorded videos of their Lego creations and have sent them back and forth. And my daughter Maya has shared her own writing with Ellen and gotten really encouraging, wonderful feedback and praise. We finally met in person this spring and it was like we were already old friends. That is such a great story! Let me know when your families are planning a trip to Legoland, CA and Griffin and I will meet you there!! I can't think of the last time a kid's book (that wasn't a Disney venture) has had an original soundtrack to accompany it. What inspired you to make a full album's worth of OTIS DOODA songs? That's interesting you mention Disney books... It just got me thinking about the books I had as a child that had a record inside to accompany them. I had one for The Hobbit, which I memorized before I could read. I would recite the whole thing to my relatives when I was in Kindergarten to impress them. So that probably has something to do with the idea. But it really grew out of thinking about the animated book trailer. I've been writing songs on and off since I was a teenager. In the last couple years I've written a few dozen new songs, so I'm in something of a groove. I asked Ellen if she thought it was cool if I wrote a theme song for Otis and she said to go for it. Within a few days I had something written and recorded and she absolutely loved it. It got me thinking how much fun it would be to write more songs about the rest of the book. I glanced down the Table of Contents and saw another 15 songs right away that I could write. The songs poured out of me quickly and almost effortlessly over a couple months' time and I had a lot of fun recording them in my art studio late at night—sometimes at 3 in the morning when no one was around and I could be free enough to get silly without being embarrassed. The best part was emailing them to Ellen and our agent Alice. When I would wake up the next morning, there'd be an enthusiastic response from both of them... "This is awesome! I'm dying laughing! Keep going!" 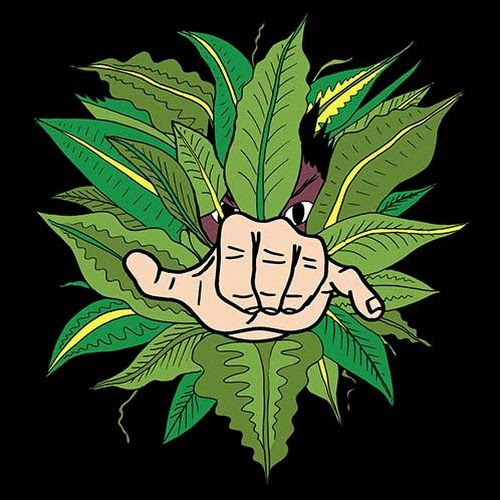 Their encouragement was like catnip for me and really helped push me to finish the whole album once I started it. And just like with the illustrations, my kids wanted to hear the new songs right away. Now I'm teaching them to my band so we can play them live. It's a lot of fun! Makes sense - the songs are PERFECT for the book! You have done a superb job all around! Will there be more OTIS DOODA in the future? Ellen: Absolutely! Otis Dooda, Downright Dangerous will be coming out in March 2014. There’s major mayhem in the sequel. I can’t wait to see David’s illustrations for this one! David: I hope there's a lot more Otis! It takes a long time for a cartoonist to get a character into their muscle memory so they can draw him as easily as writing their own signature. I'm finally at the point where I can draw Otis without looking at any reference. It feels great. I'm illustrating book 2 right now and have to say it's even more fun for me than book 1. I'm really going to town on the drawings! And I know Ellen has ideas for a third book if the first 2 books catch on. Fingers crossed! Rowan, winner of a signed copy of Otis Dooda : Strange But True, building a Star Wars Lego. Or could it be a homing device for her pet hamster?? ?